We are taking advantage of the Swiss winter break to get some R&R. I am taking a break from finishing the movie and Petra from her praxis. 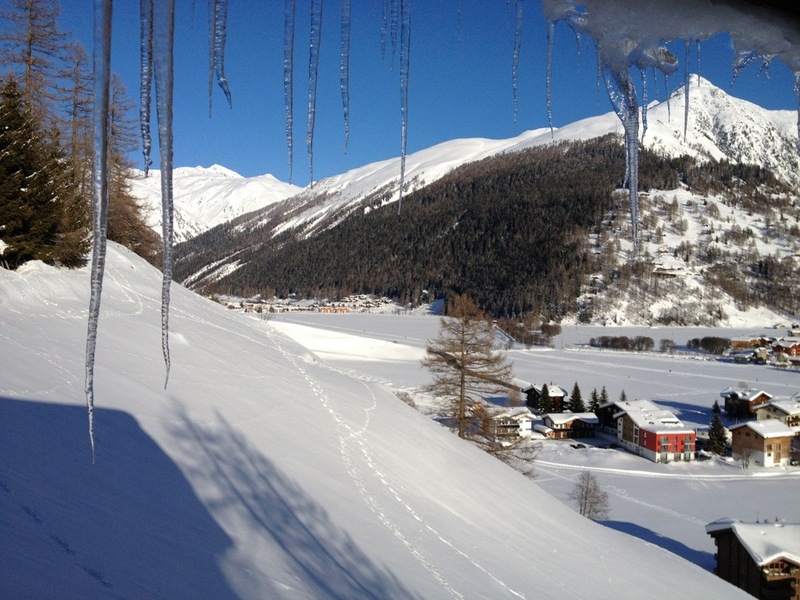 The view with icicles is from our chalet in the village of Ulrichen in canton Wallis, in the south of Switzerland. It is a valley with good cross country skiing lanes. We’ll be doing a lot of that for the next seven days. Me transporte a la Hacienda Vista Alegre en Mameyes de Jayuya. No por la nieve si no porque esta en un hueco entre montañas. Asi la llamaban nuestros abuelos paternos y nuestros padres. La bautisaron como”El Hueco”. Estaotra está pintada de blanco. Hi there looks beautiful! I happen to be in Switzerland visiting this week, so will see you next time. Regards to Petra!